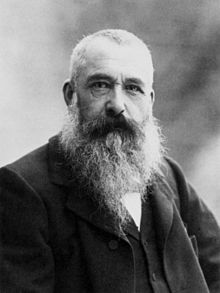 Claude Monet (1840 - 1925), the founder of Impressionism, was one of the most influential landscape painters in the history of art. Born in Paris, Monet met fellow Impressionists Renoir, Sisley and Bazille while enrolled in the studio of Glenyre. Monet painted outdoors to convey the fleeting effects of atmosphere, time of day, and season upon color and light. He represented natural color like a prism, breaking it down into its individual components. He often painted a series of the exact same view under different light and weather conditions.